– Over the last few years, more and more cruise line passengers are becoming familiar with this destination. Both Royal Caribbean and Carnival have invested over $200 million in two separate ports on the island. Many passengers often use their Cruise-Ship-Day-Tour-on-Roatan, while traveling, are also evaluating different destinations. They try to determine if one of the port of calls may just be what they have been looking for in regards to that “adventure of a life time”. They may use the day to find a place where you will never need to shovel snow again nor feel the bitter wind chill factors. How about a place where English is spoken by most, where it is safe to live and offers many of the comforts you are accustomed to.a tropical island with a new U.S. standards medical facility and is only a 2+ hour flight from the U.S. on four+ international airlines. Would your Cruise-Ship-Day-Tour-on-Roatan be a good time to consider for a vacation home? a retirement location? or the perfect location to invest in a property that will provide a sound return on investment that you can finance from your IRA or other retirement funds source? Maybe just a place to get away from it all, that is an easy flight back to your home. If you have questions, please visit our ‘Roatan FAQ’ page on this site which will answer many of your preliminary questions. Our experience as shown that serious potential buyers have done considerable research on the internet, and then decided to see first-hand if Roatan is the place for them. 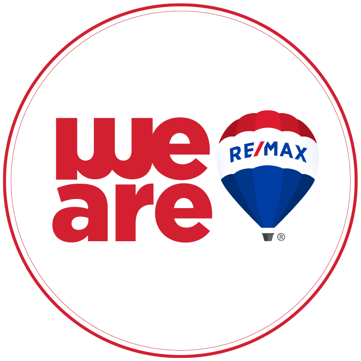 Our real estate links on this page, both for the properties RE/MAX represents or all the properties on the entire Multiple Listing Service (MLS) are the logical next steps. If you are thinking the Bay Islands may be the place for you we had a complete “Discovery Tour” either the personal version which is scheduled one week annually, normally in February or March, (https://www.roatanbayisland.com/discovery-investment-tours/ ), You can also use your Cruise-Ship-Day-Tour-on-Roatan to have a shortened version on your cruise ship day via video that you can start your day with at our office for a little over an hour. This very well spent hour+ will have you meet our team of professionals and will include our team of Professionals. That will include a U.S Attorney, U.S. Accountant that specializes in “Offshore” living, a Honduran Attorney that both does your title searches and can arrange one of several types of residency, (not a citizenship). Listen also to Doctors, Dentists, Insurance. They are there to help educate you on the purchase of property here in the Bay Islands. You will then be ready to spend valuable time on the island with one of our professional RE/MAX REALTORs to get a first-hand look at properties. You can look either as an in general “look” at some office neighboring communities. Or if you have already been in contact with one of our RE/MAX Agents, researched the MLS and have 3-4 particular properties, you can arrange the office visit, the video viewing and then look at those properties previous to returning to the ship. Please note that as with most real-estate market, sellers require at least 24-hour notice to show their properties. If you are looking for a more general tour of the island, you may wish to either go to “http://roatanbabayisland.com/categories/things-to-do/#tour” for a cursory, casual and enjoyable tour of the island to get a feel for the island.